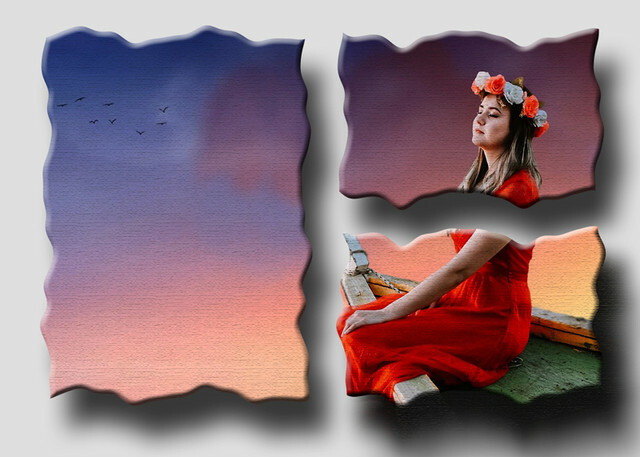 This Creative Effect Challenge will create a custom boarder for you to use with your images. 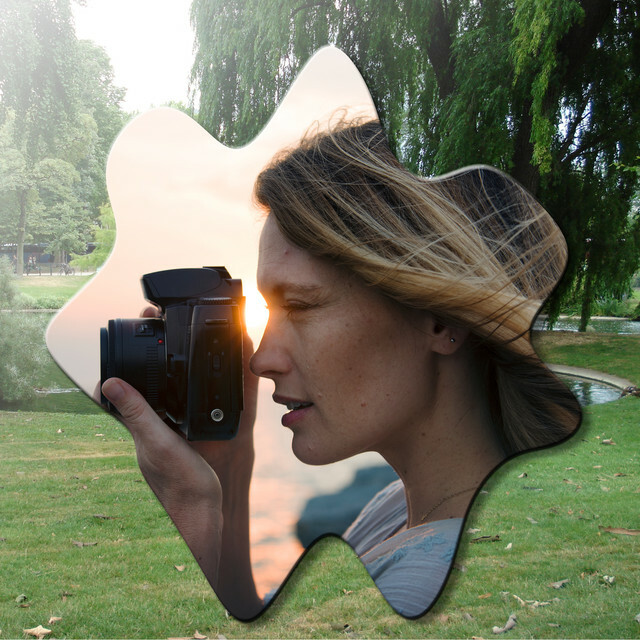 Creating this border shape will allow you to clip any of your images to it. 1. 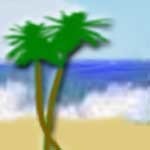 Create a new image as shown. 2. With the Rectangular or the Elliptical Marquee tool (keyboard shortcut m) draw a large selection. I started a half inch down and in and went to a half inch from the bottom and right. 3. Fill the selection with white. 5. 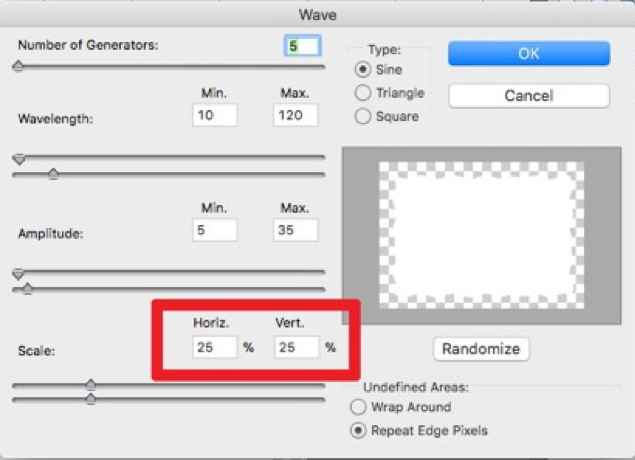 Go to filter Distort>Wave. Adjust the Horiz. And Vert. Scale between 25 and 50 percent. You can season to taste. You will see a small preview of your shape, and it will change as you adjust the scale. The higher the number the higher the peaks. Click OK when you are happy with the border shape. 6. 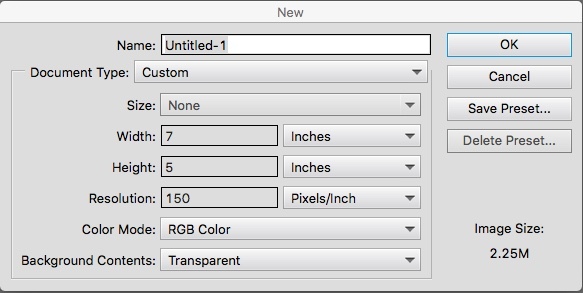 Rename this layer Border. 7. Save your image as a “PNG”. Saving as a TIFF or PSD will also work. 8. You can now close this image. 9. 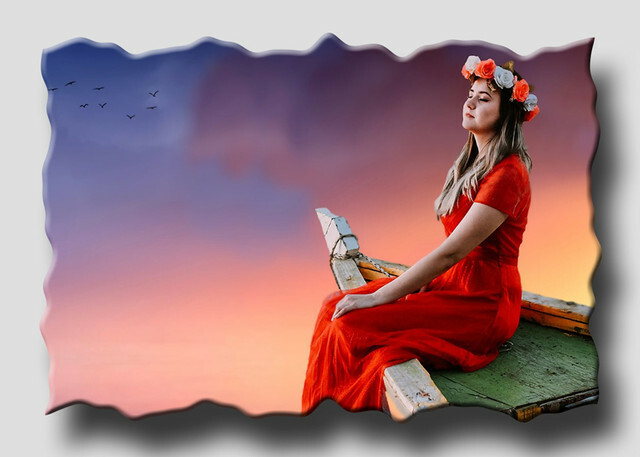 Open an image that you want to add this border to. 10. 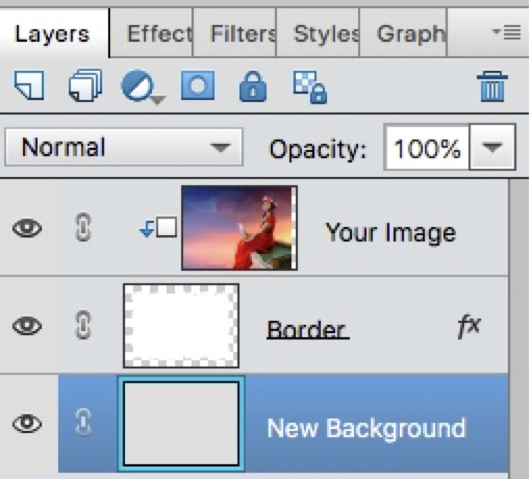 If your image is a background layer convert it to a normal layer (Click on the lock). 11. 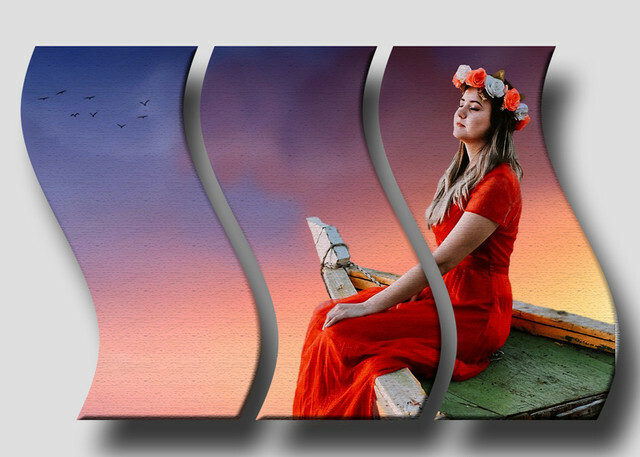 Open the Border that you just created and drag it onto the image that you want to apply it to. 13. 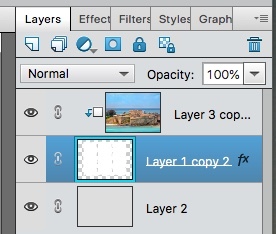 Drag the border layer under your image layer. a. While holding down the alt/option key place your cursor between the two layers. When the curser changes to a square with a downward point arrow – left click on your mouse. 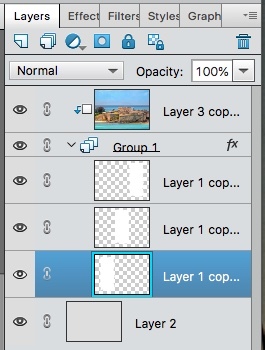 c.	Go to Layer>Create Clipping Group. 15. Your Image should now be clipped to the border. 16. 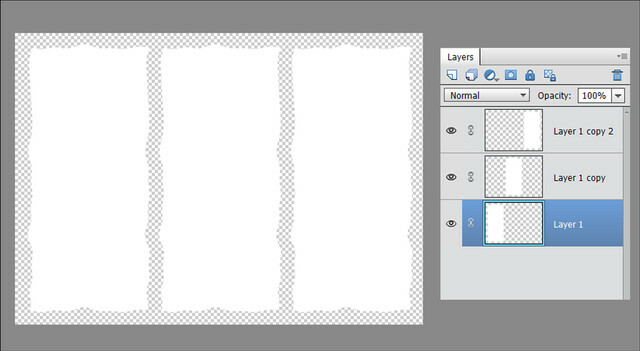 You can now add a Bevel, Drop Shadow, Stroke etc, to the Border Layer. 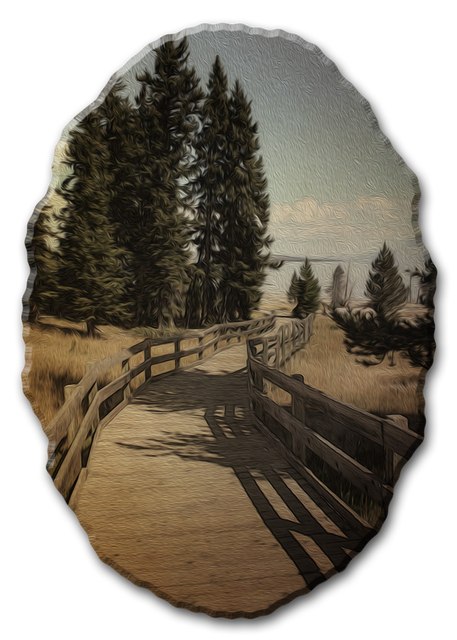 If you give the border layer a texture you will need to change the blend mode of the image layer to allow the texture to show. 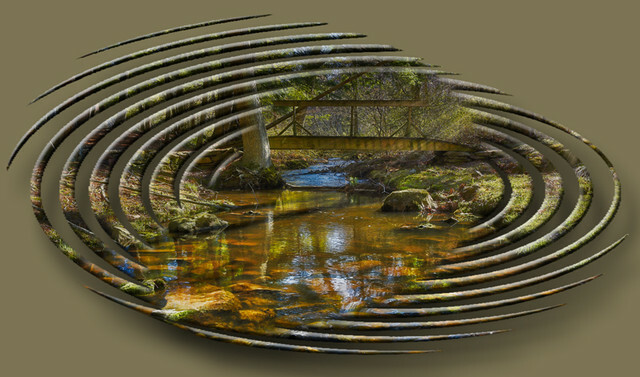 This Effect works with other Distort filters. You can even group the shapes in a folder (version 15 and newer). Have fun and looking forward to seeing your results. Frank, great tut! It is easy to follow and it leaves the door wide open for tweaking. Having the custom borders as templates adds to its versatility. 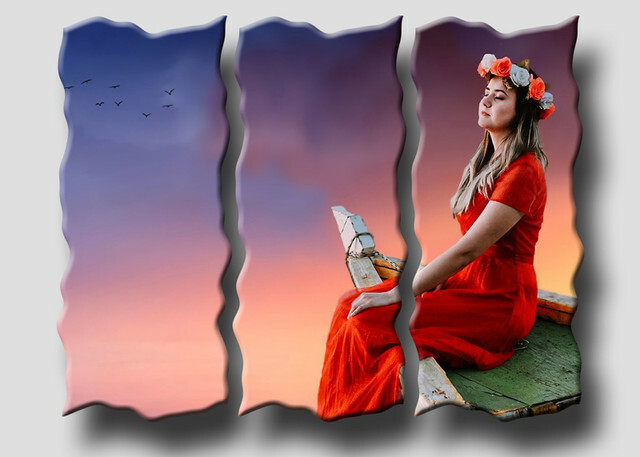 Great take on this creative effect challenge, and thanks for getting it started. Thanks, Frank. Great directions, and interesting effect. 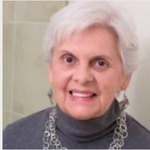 Helen - Thanks for the comments and joining in. That is a great capture and example of this challenge. I really love your first image, Sepiana. Just have to find out how to do that. Is it similar to triptech effect? 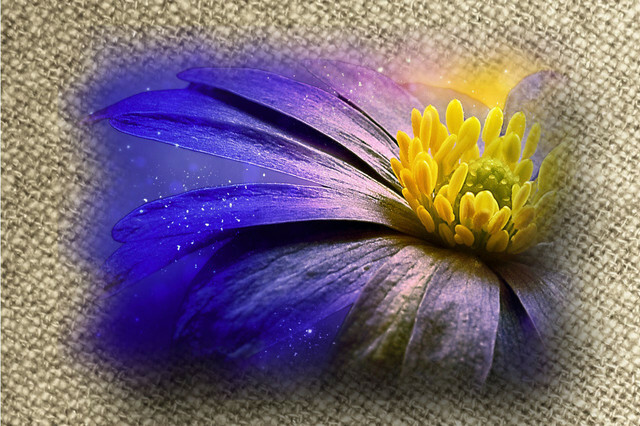 Can't remember where background was from - it was free though. Yes, it is. 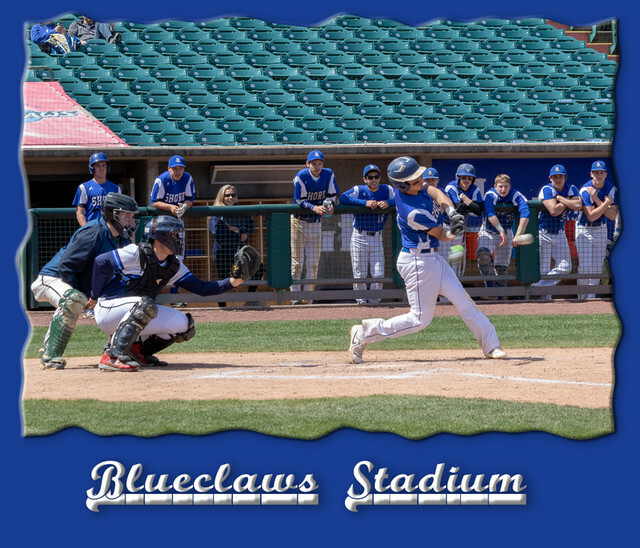 This is what I did to create this custom border effect. - Used the RMT to draw the first shape. - Duplicated the shape layer twice. 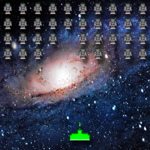 - Used the Move tool to reposition the shapes across the canvas. Whippet - good combination of Images. Lillas - very nice effect and a very unique shape. 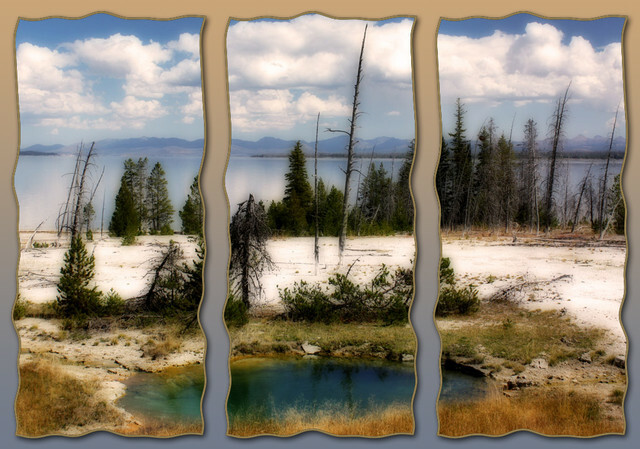 If you are going to create a triptych you have a couple of options. 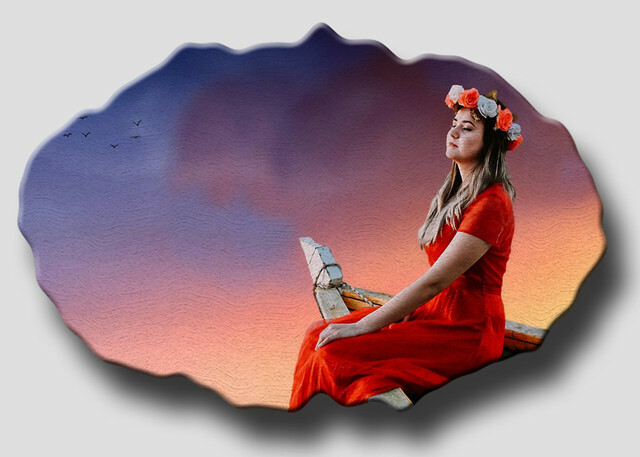 You can create the three shapes on a transparent background and merge them together, apply your effects and then clip your image to that merged layer. If you have the later versions of Elements (15 and above) you can group the three shape into a group and clip the image to the group. I can't resist playing with this tut; it is a great excuse to enlarge my template collection. Blame it on Frank! Very nice tutorial Frank. Thank you. I believe this is the first practical use I have ever seen for the Wave Filter. Ritage - Thanks for the kind words and joining in. I love how the edges you created add to this effect. After I discovered clipping, it made my digital life so much more fun. I like the way you all have used this tutorial to great effect.